One of my favorite times to do yoga is after a run. In fact, I used to time my runs so that I could finish up and have time to make it to the yoga studio for a morning class. (That was back before I had a baby.) It feels so good to open up the muscles that get tight as you run, and it’s a great way to gently slow down your heart rate. But, if you’re busy like me and can’t head to a yoga class after your run, I’ve got you covered. 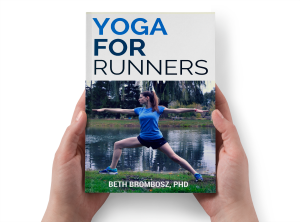 I created a 15-minute Yoga for Runners Cool Down Sequence for you to follow after your runs. I actually don’t recommend doing yoga before a run. Yoga poses tend to be static stretches, or stretches that are held stationary for a few seconds to a few minutes. Studies have shown that static stretching can actually decrease the power your muscles produce. So, it’s better to do some dynamic stretches before your run and save the static stretches for after your run. But after a run? That’s an entirely different story. Stretching after a run just makes your body feel better. Tight muscles are uncomfortable and sometimes even painful. Gentle stretching can help work out some of those kinks and loosen things up so you’re not hobbling around all day after your long run. And, I also designed this sequence to help you slow down your heart rate and your body gradually. I think you’re really going to like it! Ready to get a great stretch as you cool down after your run? Here’s my free 15-minute Yoga for Runners Cool Down Sequence. If you love this sequence (which I’m sure you will), please share it! 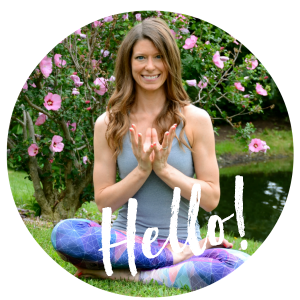 And, make sure you follow my YouTube channel so you see the new free yoga videos I release every week!